Even in an area renowned for its early settlers’ pioneering spirit, starting a small business in Plymouth is difficult. Keeping one afloat and getting it the exposure it needs to grow – that’s even harder. But with Valpak’s Blue Envelope of shared direct mail and digital marketing strategies behind your business, your brand can affordably reach relevant consumers from Plymouth to Hingham. Contact Valpak of Plymouth today to learn more about how we can help grow your business. Join our Blue Envelope to send your brand’s message to relevant households all over the region. Because space in our envelopes is shared with many different companies, the cost for mailing is drastically reduced for each advertiser on board. And just as a train can take riders to many different stops affordably, so does our envelope. Choose when and where your offer is mailed and decide the format it takes, from coupons to circulars. It isn’t just enough to have a website. You need one that attracts consumers, one that gets your brand’s message across clearly, one that sells your goods or services around the clock. As a Google Ads-certified agency, Valpak of Plymouth will help raise the visibility of your business’ online presence through our suite of digital products. We’ll also provide performance tracking for your print and digital campaigns via an intuitive dashboard that shows your return on investment. With a network encompassing a reach of over 60 million mobile consumers, an impressive following of consumers both online and in print, and a laundry list of experts to help walk you through your entire print and digital advertising process, make a smart decision for your Plymouth, Massachusetts business by advertising with Valpak! For specific dates and coverage, contact your Valpak of Plymouth representative. 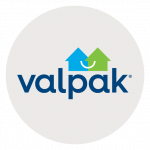 Valpak of Plymouth is an independently owned Valpak franchise.